Hi and happy Sunday Friends!! 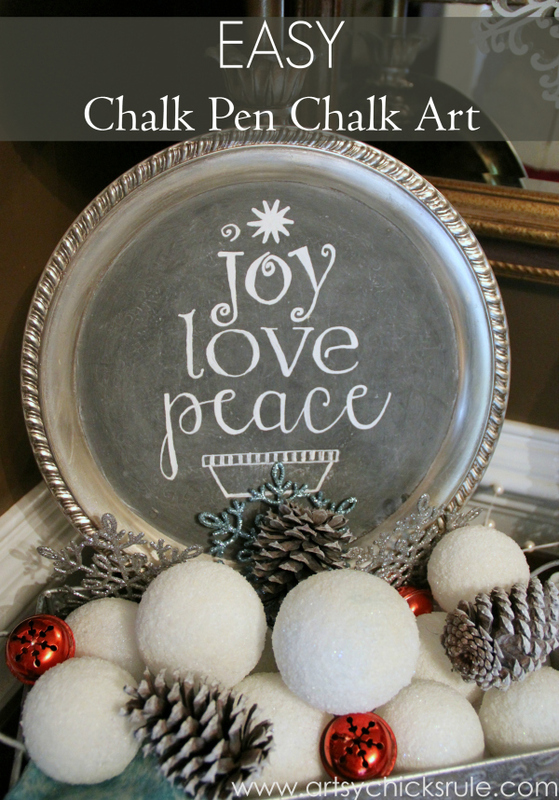 Today I am sharing part of my very thrifty, DIY Christmas decor with you….Easy Holiday Chalk Art with Chalk Pens. 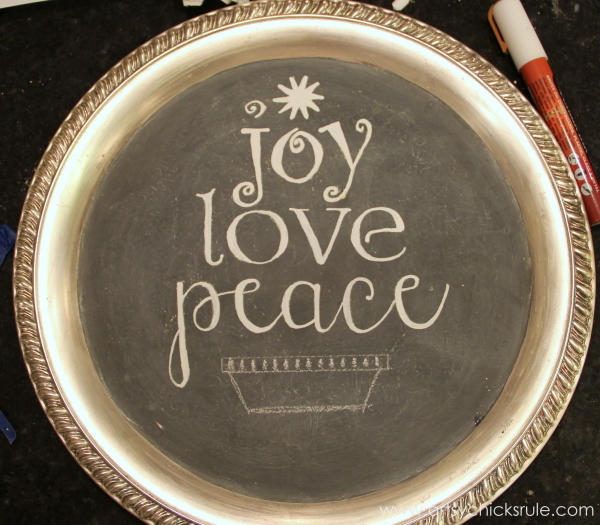 I picked up this old metal tray from the thrift store a few years ago and made it into a chalkboard. 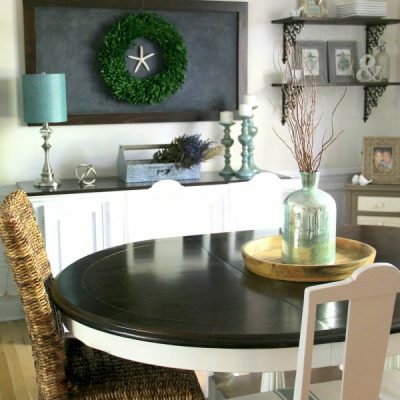 I used Annie Sloan Chalk Paint, in the color Graphite, to create this chalkboard and the other one I’m going to show you today. This one has really held up great! 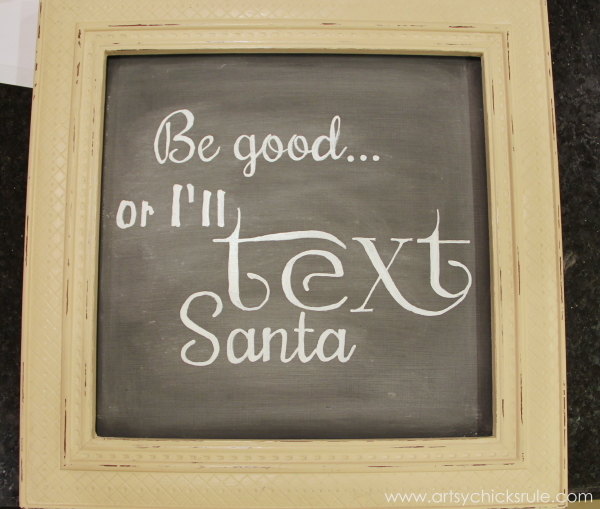 I used it as a fun message board in my kitchen originally, then it was used at Christmas to write holiday messages on. This will be the third year I’ve done that. 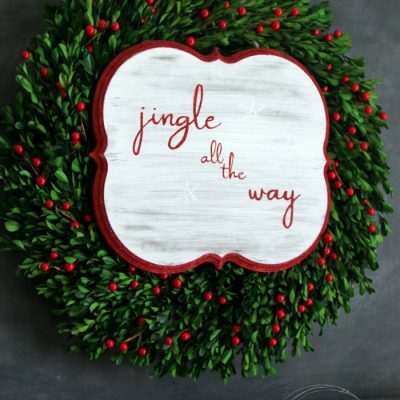 And this is what it looks like this year…. Last years message was still on it when I pulled it out this year to decorate. 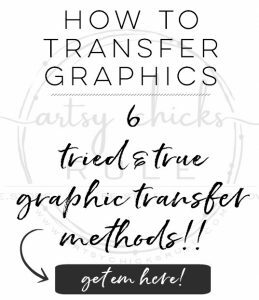 I created the graphic you see to the left in Picmonkey. 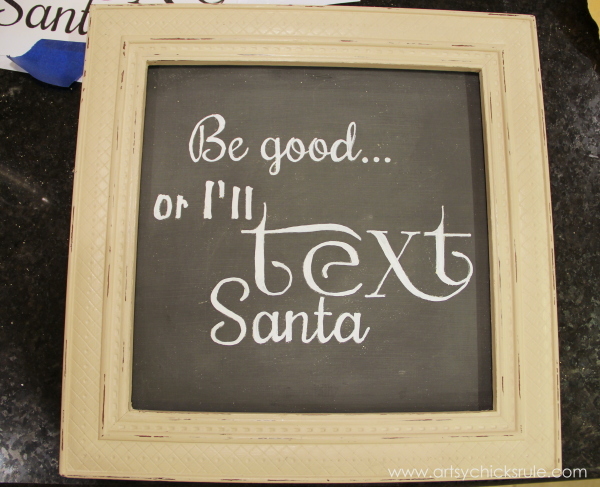 To transfer the lettering onto the chalkboard, I used yellow chalk (I ran out of white). Then I aligned it where I wanted, taped it down and started tracing the letters with a pencil. I did the wording a bit high on the tray because I am using it in a basket that will have the bottom half mostly hidden. Then I painted it in with the Chalk Pen . ..and then went over it with the paint pen to darken it up. 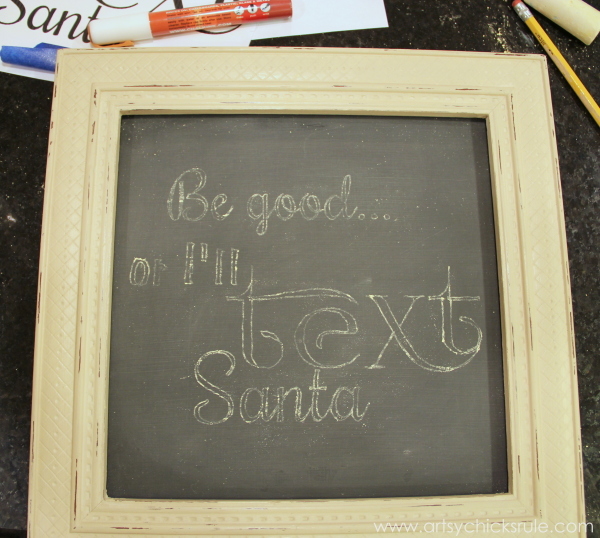 I did the same thing with this old chalkboard. I created the graphic, again in Picmonkey, and printed it out to size. Then transferred just as I explained above. 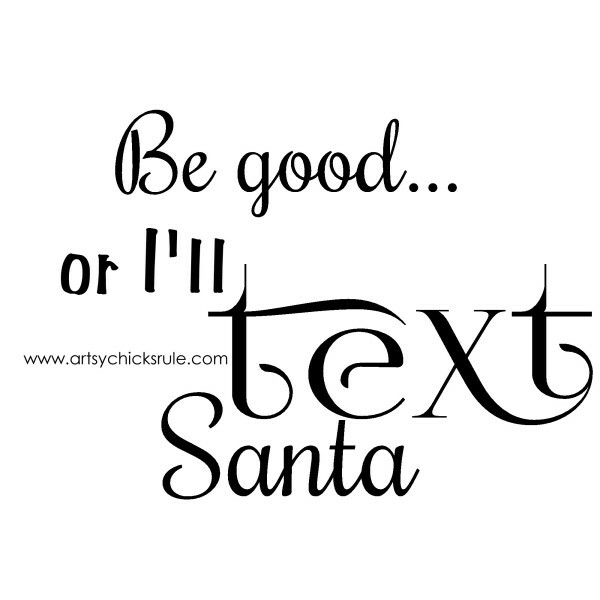 “Be Good…or I’ll Text Santa“….love that! Isn’t it the cutest? 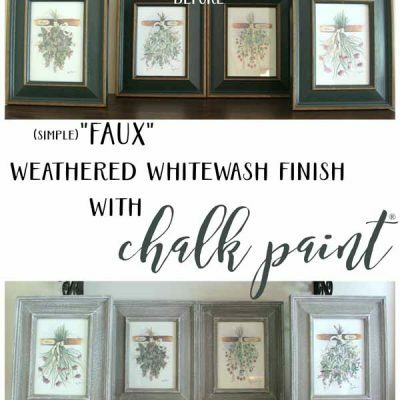 Well almost…I decided to rub a little white chalk over the whole thing to “chalk” it up a bit. 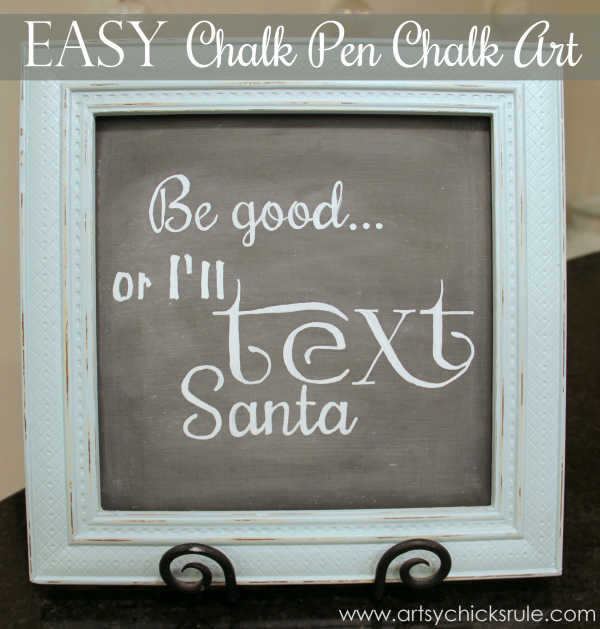 I like it better “chalked” up, don’t you? 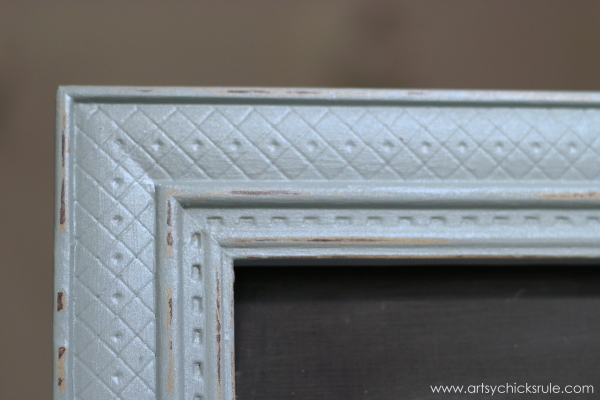 The color is Old Ochre Chalk Paint, I believe. 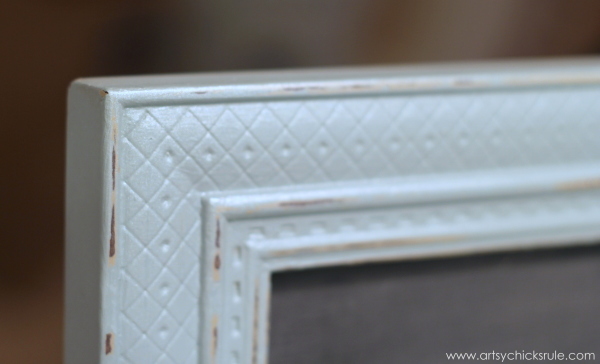 Great color, just not the right color for this frame/chalkboard now. 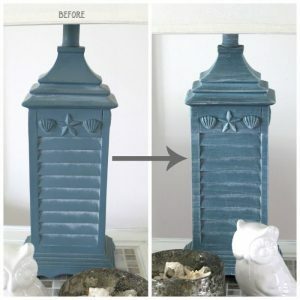 So I painted it with the same pale teal (Chalk Paint®) that I mixed up and used on this Teal & Red Carved Desk I painted recently. 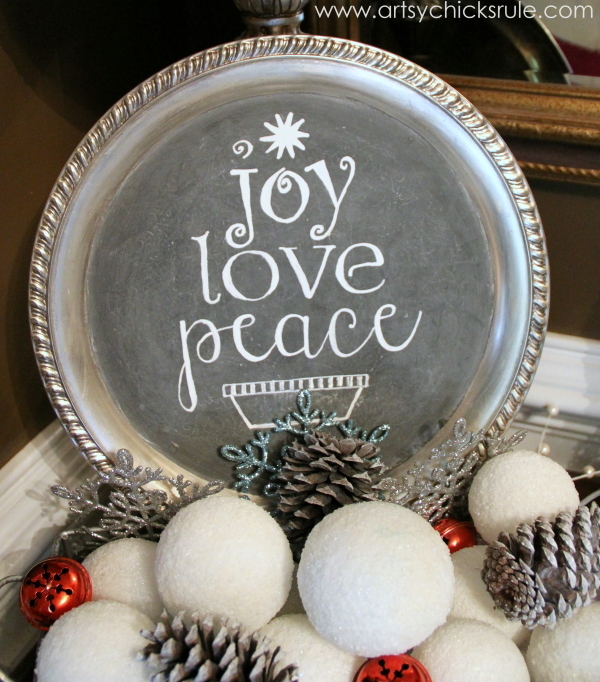 And I sealed with this fab “pearly” spray paint I used on this “Holiday Framed Ornament Wreath“. Can you see it?? I just love this stuff. :) Pearly prettiness. 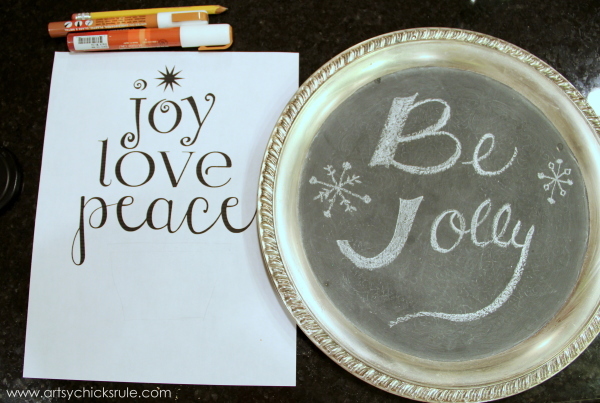 So…two really quick, easy projects for the holidays. 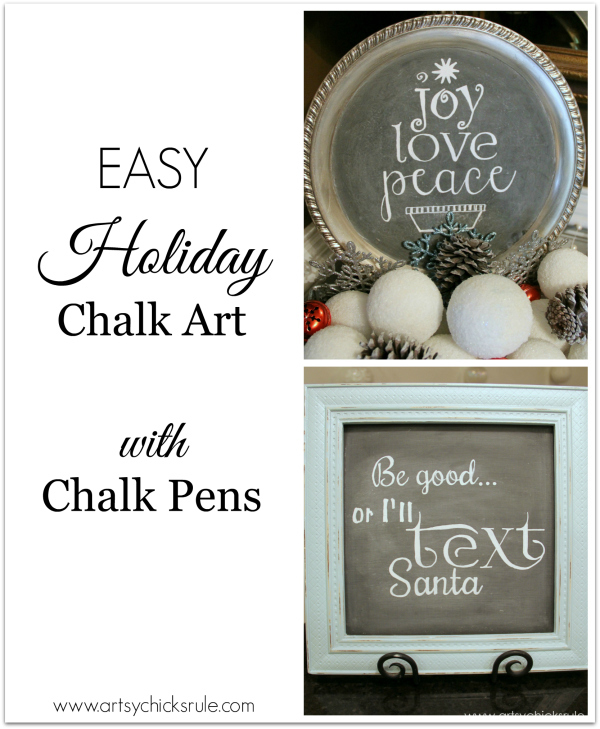 Holiday chalk art made simple with the help of chalk pens. 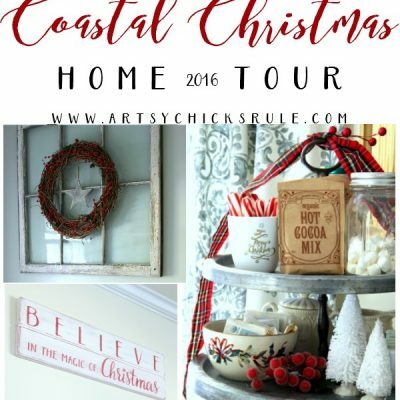 Be sure to follow me on Instagram and Facebook if you don’t already! 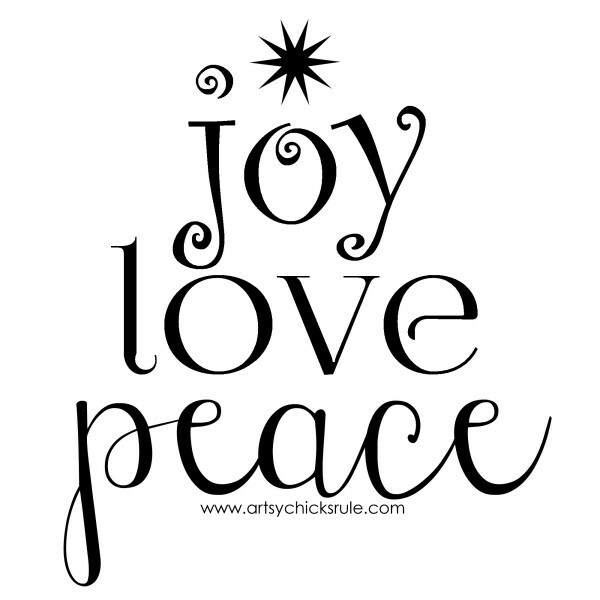 long before it hits the blog…..
….plus lots of fun random daily things too. Sweet! I never knew there was such a thing as a chalk pen! Thanks Anne! Yes, they are great!!!! Thanks! Yes, this pen has been great for me. 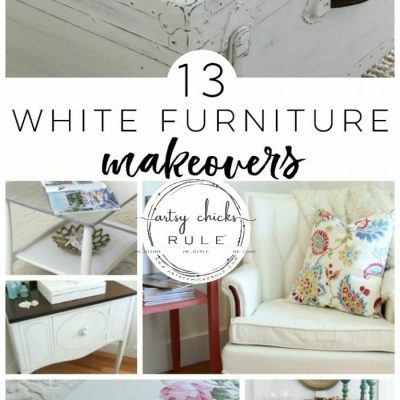 It might be the underneath paint you are using? 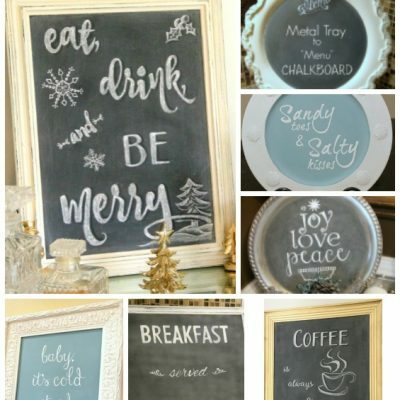 And yes, I love the Graphite for chalkboards! 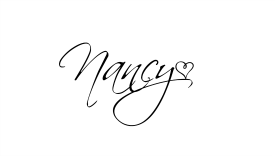 Love them, Nancy! 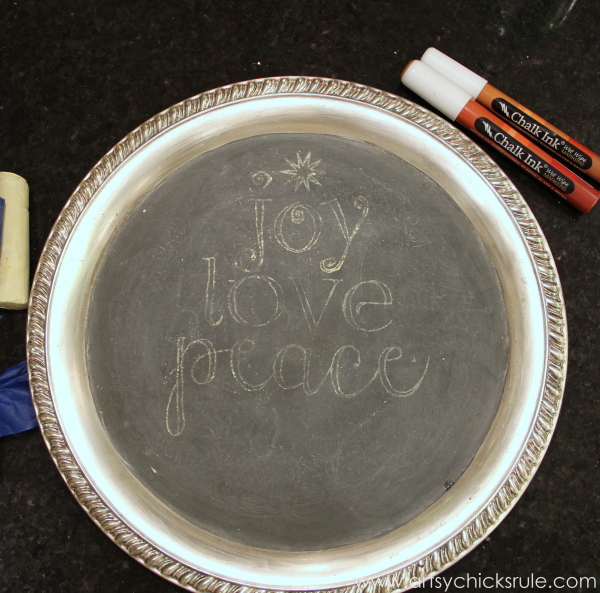 And I love chalk pens… I used them a lot for Katie’s wedding last year. Thanks Karen! Oh yes, aren’t they fabulous??!! 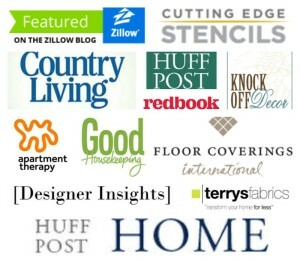 Hi…can you tell me what fonts on PICMONKEY you used for these projects? Thanks. 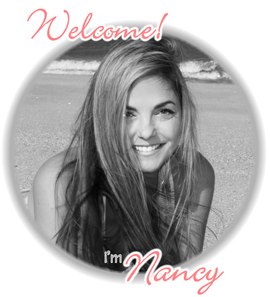 I have the paid version of Picmonkey so am able to use some fonts I have or have downloaded to my computer. 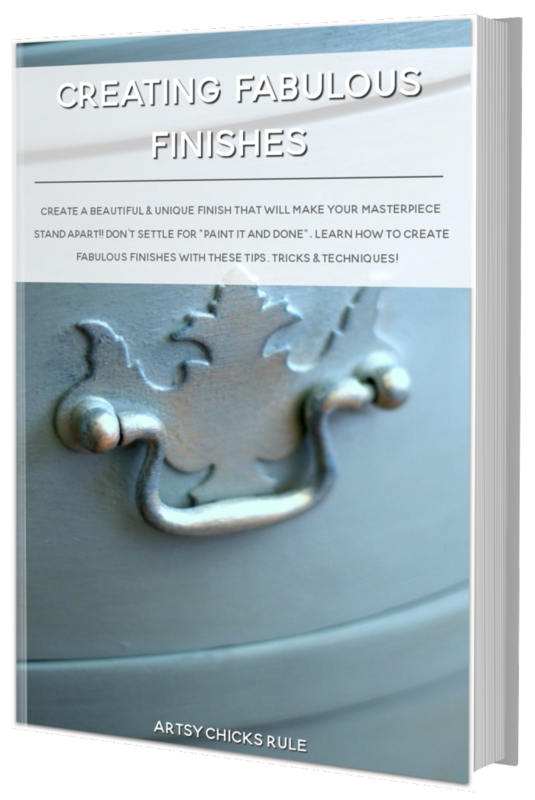 I know what I’m doing this weekend….thanks for the inspiration!! 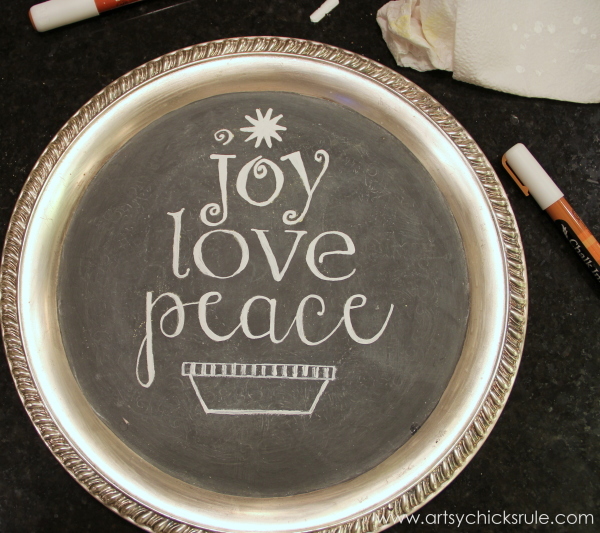 I love using the chalk pens for projects that I don’t plan to erase. They make such a vibrant design on a chalkboard. 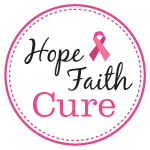 Love your inspirations! Thanks Paula. :) Yes, they are great!!! 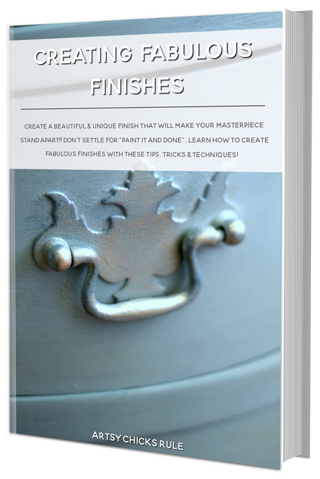 I just painted the side of a built in bookshelf hubby built for me in the dining room, with ASCP Graphite. 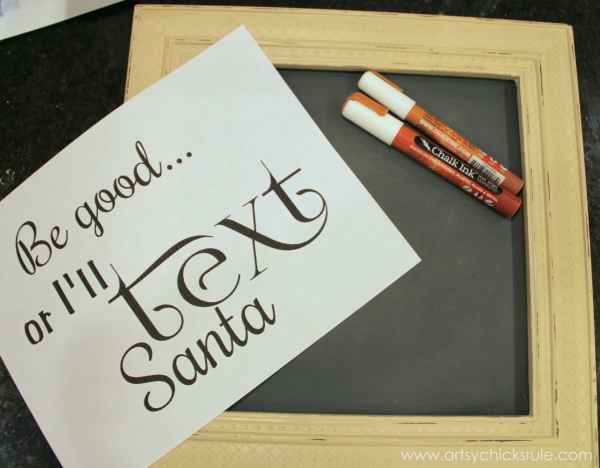 I used several coats with a roller to keep it as smooth as possible as I want to use it for a chalkboard. I want to use the chalk pens, but since I’ve read they don’t just wipe off, how would I clean my “board” so I don’t ruin it? Thanks much, and I love your projects! Hmm, I haven’t had trouble with this particular chalk paint pen coming off. 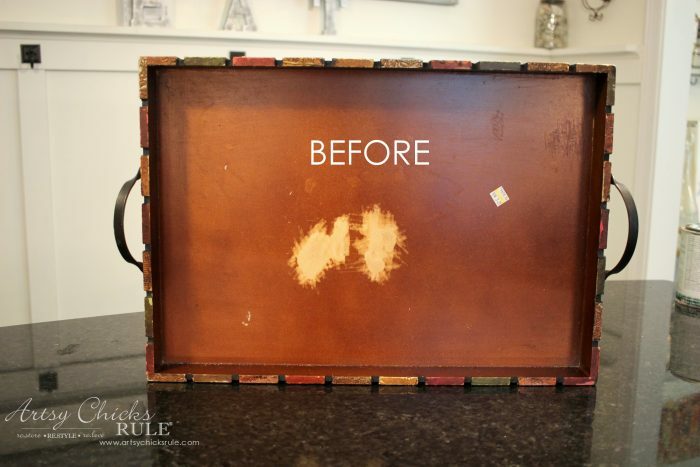 I wipe it away with a wet towel, re”prime” the board (rub regular chalk all over and wipe away) and start again. 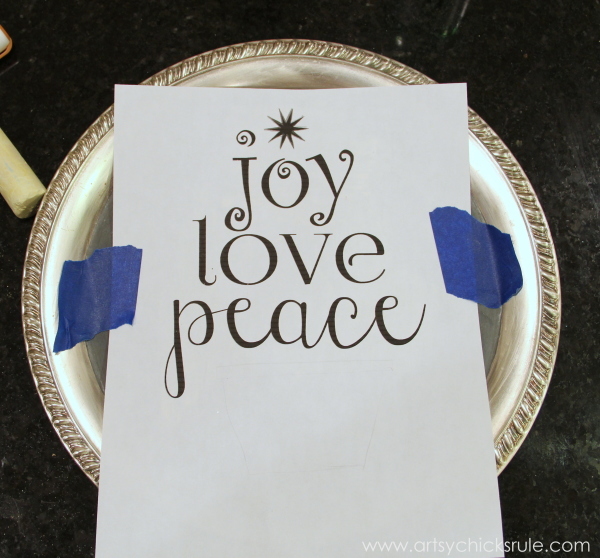 Try a wet paper towel and see how that works.